Winemaker Martin Moran, his wife Michelle and her family David and Jane Dreckow are proud to present our handcrafted wines: Bottle-fermented and disgorged on demand Sparkling Blanc de Blancs and Apple Ciders; Chardonnay and Sauvignon Blanc; Pinot Noir, Syrah, Cabernet Sauvignon, Merlot, Malbec, Barbera, Tempranillo, and Rose. 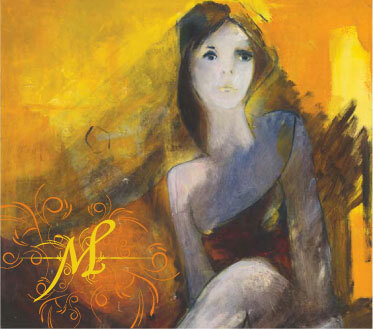 Our labels feature the artwork Martin’s father, Jose Luis Moran (1938 -2010). Heralding from Argentina’s wine capital of Mendoza, he painted thousands of watercolours and oils in his lifetime. 2012 Sparkling Wine blanc de blancs GOLD MEDAL The Wine Showcase Magazine 2015 summer edition. Association of Australian Boutique Winemakers 2015 Boutique Wine Awards, SILVER MEDAL. 2011 Adelaide Hills Sparkling Wine Adelaide Reviews ‘HOT 100 SA WINES’ in 2014. 2010 Premium Sparkling Wine SILVER MEDAL ‘Museum Class’ in the Adelaide Hills Wine Show 2014. Please subscribe to our mailing list to be the first to know about Mordrelle events.